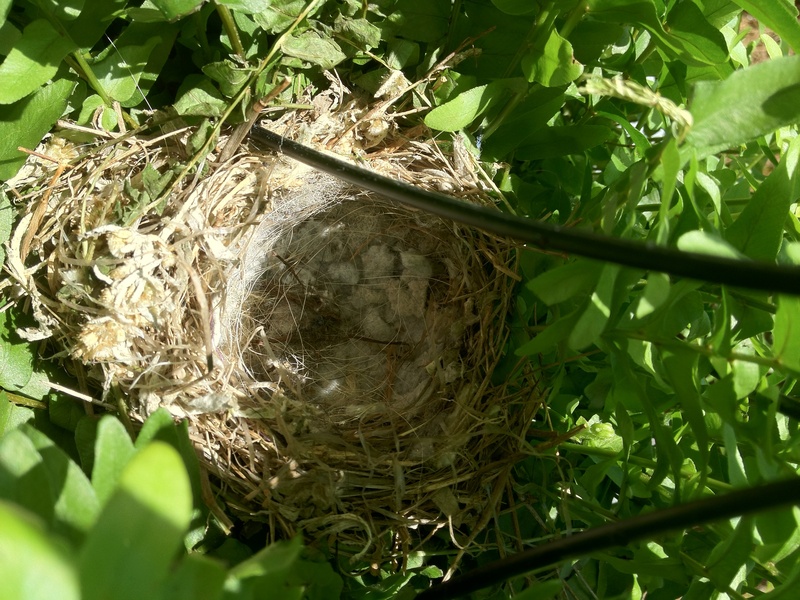 Day 1: – Found a nest in one of my hanging ferns. 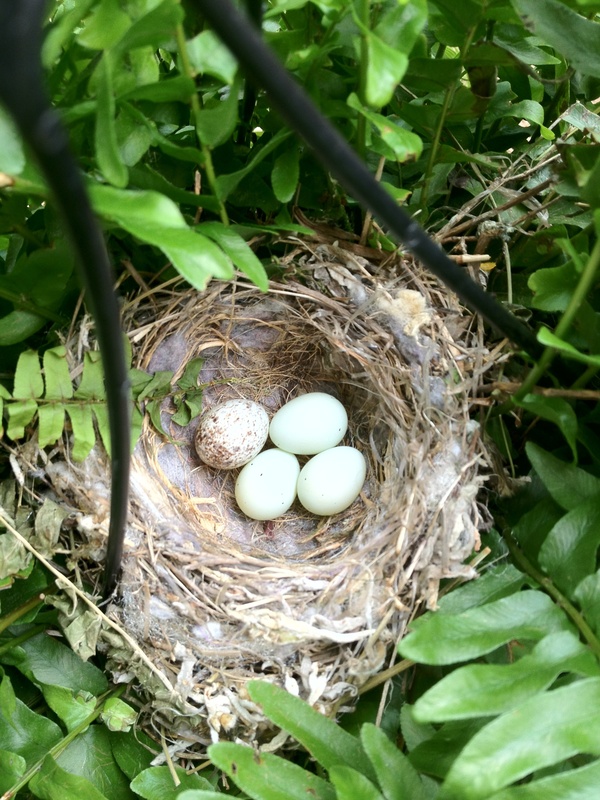 Day 2 – We have 1 egg! 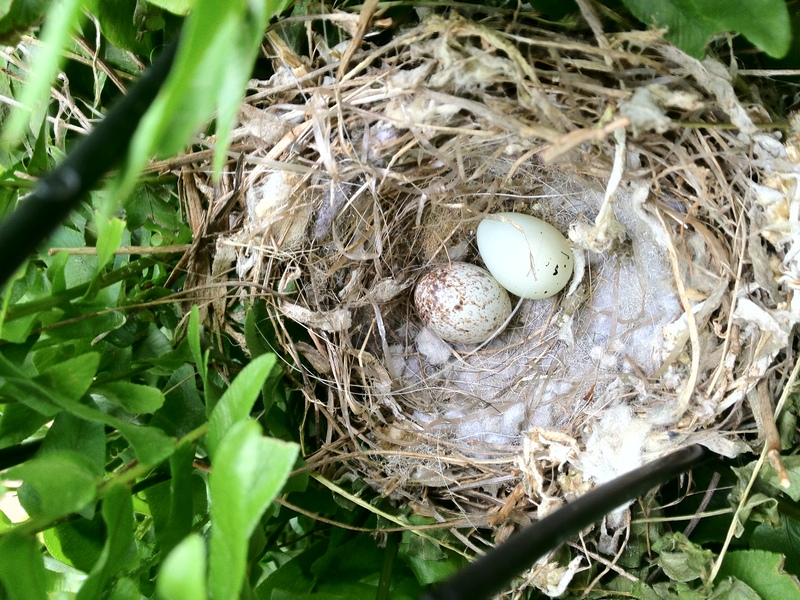 Day 3 – We now have 2 eggs! Do birds lay an egg a day or something? Day 4 – I guess they do! 3 eggs. 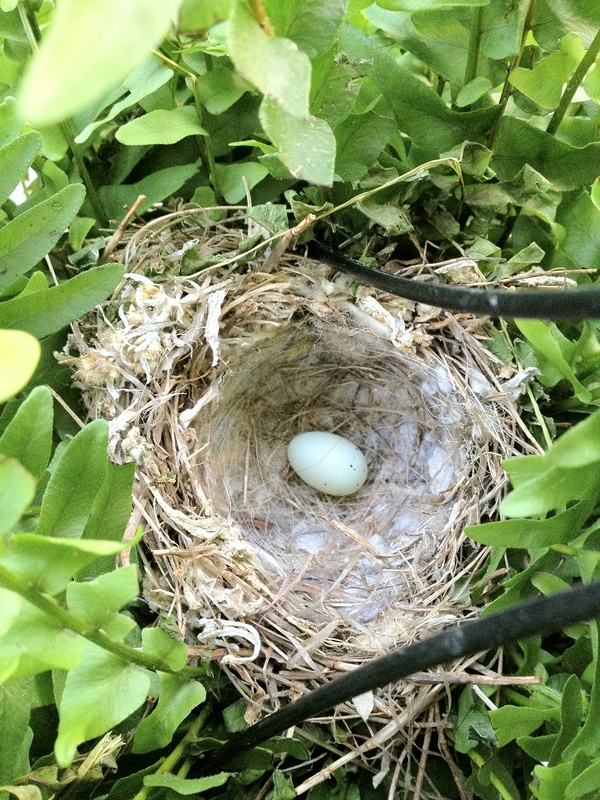 …and then a few days after that there was only 1 egg. I didn’t see the birds much, so I don’t know what happened. 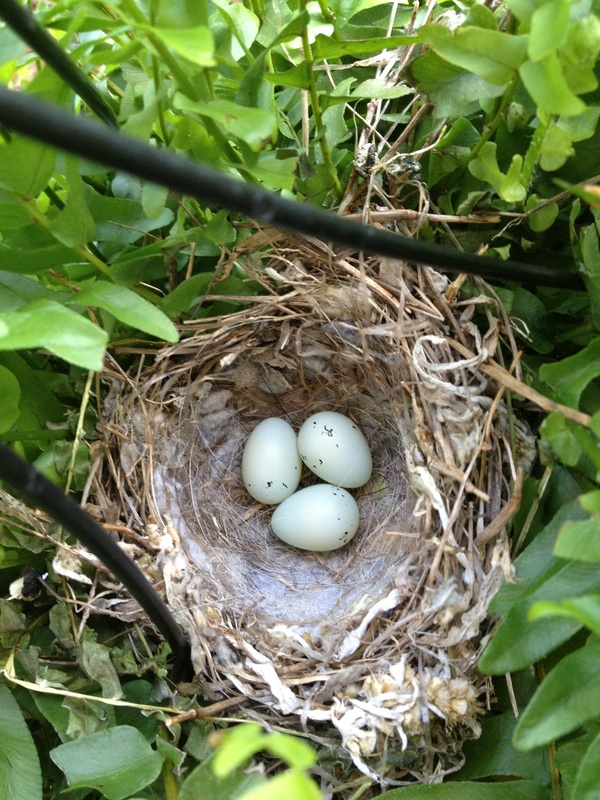 But today, when I went out to water the fern, there were 4 eggs! One of the eggs looks like the one that was in there from the beginning because it is all speckled. 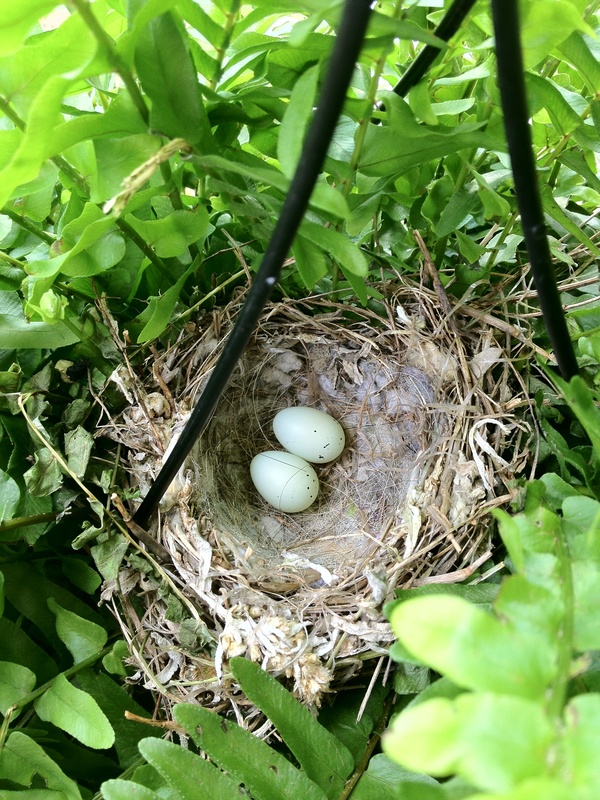 So, hopefully there will be some baby birds soon!